Take the A,B,C,D,E,F or M train to West 4th St. Use the 3rd St. exit and walk one block south to Minetta Lane and 2 blocks east to MacDougal St.
Take the 1 train to Christopher St/Sheridan Square and walk south (toward Grove St) on West 4th, 4 blocks. Continue south on 6th Ave 2 blocks to Minetta Lane, and 2 blocks east to MacDougal St.
Minetta Tavern was opened in Greenwich Village in 1937. 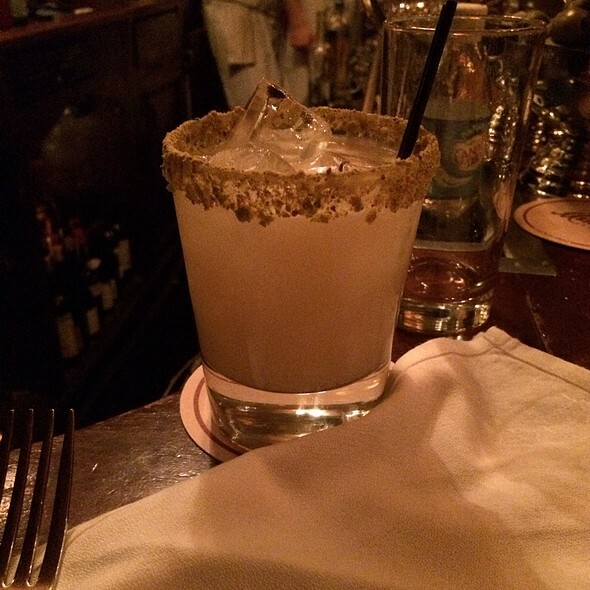 The Tavern was named after the Minetta Brook, which ran southwest from 23rd Street to the Hudson River. Over the course of its long history, the Tavern was frequented by various layabouts and hangers-on including Ernest Hemingway, Ezra Pound, Eugene O'Neill, E. E. Cummings, Dylan Thomas, and Joe Gould, as well as by various writers, poets, and pugilists. 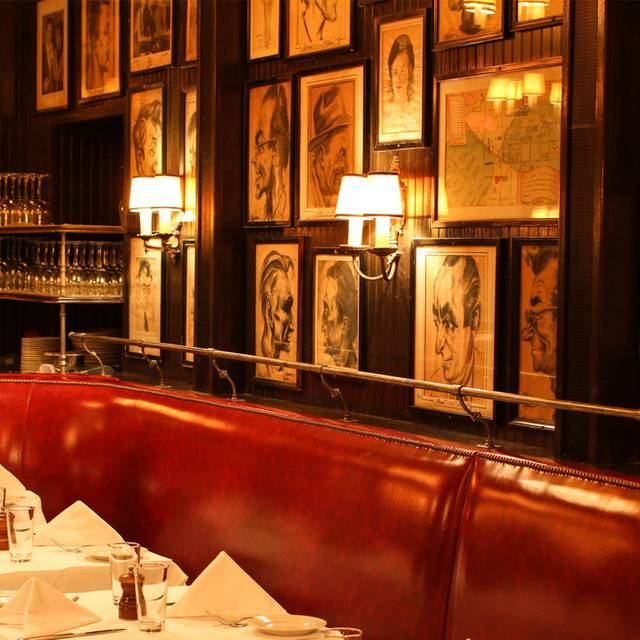 Since its renovation, Minetta Tavern has best been described as "Parisian steakhouse meets classic New York City tavern." We hope — and believe — that's a somewhat accurate description of the place. Minetta Tavern in Greenwich Village is home to some of the best steaks, chops, burgers, and overall feel good vibes that New York City has to offer. Ratings 8.5-9.0:Now we’re in the range of absolutely excellent restaurants that you might go to more than once a year/lifetime. These restaurants tend to define a city, and make up the places that you absolutely cannot miss if you want to have any credibility as a restaurant-informed person in a major metropolis. Black label burger best ever! Great New York City landmark. We were there for brunch which was just okay. Staff were very nice. Just expensive for what you get. Two egg entrees, one appetizer, one drink and coffee = $125. Go for the history. Attention to detail and a nod to history are combined in this modern interpretation of classic steakhouse fare. The Black Label Burger is the best burger I’ve ever had. Eh. Burger was supremely disappointing given its reputation. It was honestly dry. Needed a sauce or cheese or something. Also didn’t help they overlooked our “medium” patty request. Other things we had were tasty (esp. the bone marrow). Cool vibe and ambiance, but I would say go in w/ low expectations. 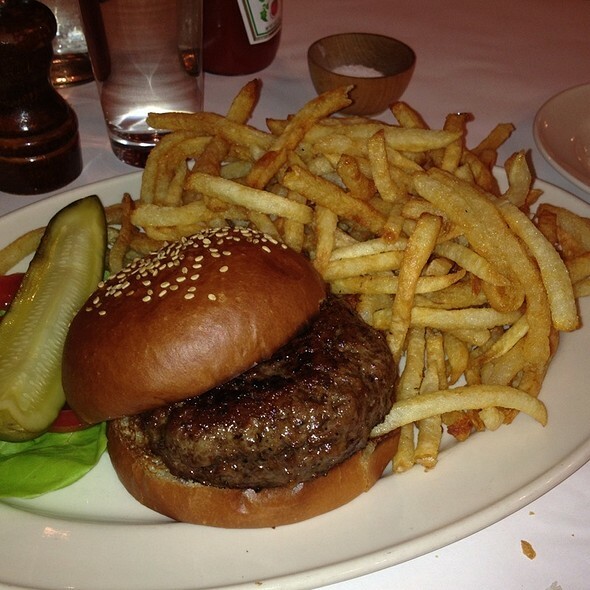 If you are looking for the best hamburger in NYC, then this is the place! Great old New York ambiance and attentive wait staff. While the cocktails are "NY pricey", they are well made. 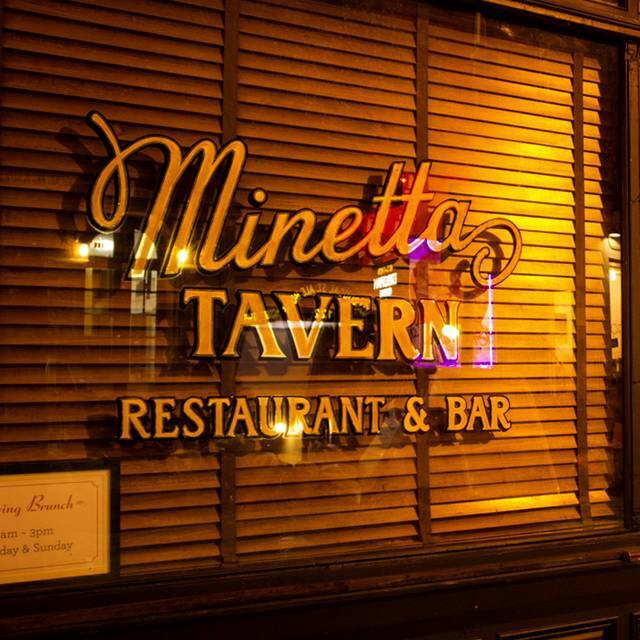 I first started coming to Minetta over 40 years ago. This time I brought my family and it was as special as ever. Delightful — and our waitress was a gem! we had a lovely date night here and they very graciously accommodated us by putting us in the corner booth :) we love this place and will come back more often now! Awesome lunch, highly recommend the burger + fries! 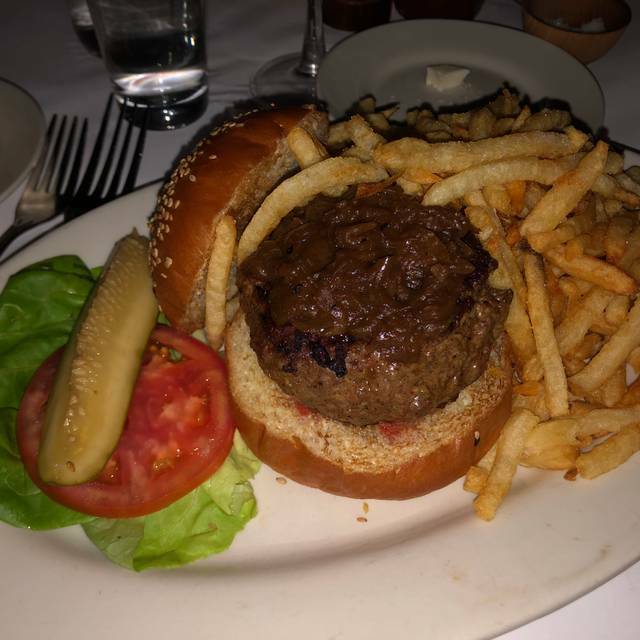 Ordered a med-med rare black label burger where everyone in my party ordered a med or med well burger but my burger came out well done. Asked the server beforehand to give me the rarest burger of the three. Did not happen. Glad we tried this place the food was good, our server was great. I chose this place for my birthday because I was at a loss as to where I wanted to go and this place had some interesting history which my husband really liked. The soufflé was perfect and the pork special was very good. We had 5:30 p.m. reservations but even though the restaurant just opened the host stand seemed a bit confused. Perhaps the staff was not ready. Anyway, although I had notified them it was my birthday, they gave me a table right by the kitchen. Normally I am not picky but I had to ask for a different table. It definitely had a historic tavern vibe. Good for a casual meal or drink at the bar. The service was not really good. Spectacular evening! From the burger, to the marrow, to the cote d’boeuf, to chateau neuf to the soufflé !!!! This was our second visit. I enjoyed it the first time as an iconic restaurant to visit and since we were attending another event in the neighbourhood we thought we would return. I did appreciate that I was called to say that a later reservation was available which we had asked for if one should come up. The service was attentive although it was difficult to actually hear anything our server was saying. Loud talking ambience made it hard to hear our soft spoken server. The tables of course are so close together that one wonders if they just took even one out and spread the others apart a bit, that may help. The food is in my opinion just a bit overrated. The famed burgers are good, but truthfully, we had the regular Minetta and Black Label burgers and they didn't taste any different from one to the other. I find the menu limited and not that varied in choice. All in all I have nothing bad to say, but other than saying I did go, there is not much for me to recommend it. Amazing venue with authentic, buzzy vibe and great, attentive service but food average for extautionate price - $34 for a burger. Admittedly a nice burger, but a burger nonetheless! 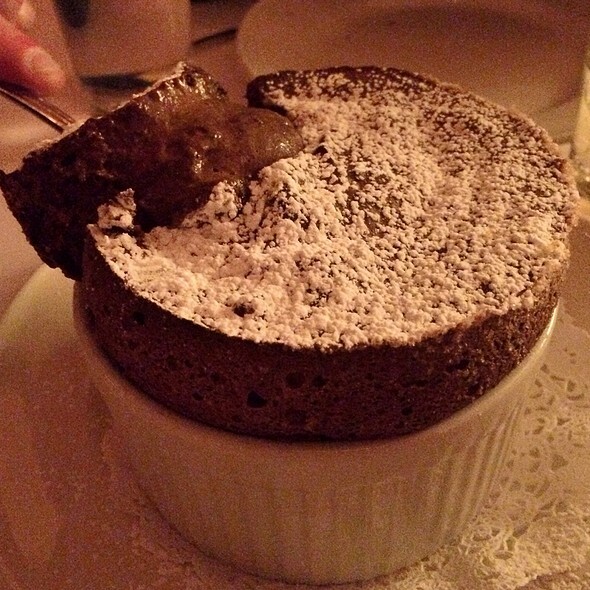 The saving grace was the chocolate soufflé which was to die for and highly recommended. The place was packed, even at 6.30pm so I’m guessing everyone else was impressed! Very good food in a quaint neighborhood. Excellent service. Our waiter was very attentive and personable as were all of the members of the service team. Chocolate Soufflé was amazing! Highly recommend saving room for dessert to try it. A more casual NYC lunch. Cool atmosphere, reminiscent of the days of old NYC. Friendly servers. Good burger. Nice salad. So good but also some misses. I love the atmosphere and vibe the most. People are right about being transported to another time. Service was very good and there are some slight misses ( timing of bring utensils, etc). The food is very good. Though I think the burger is overrated and under salted. We heard rave reviews from a friend and decided to dine here for our 10th anniversary. It was literally the best burger and fries I have ever had. Service was exceptional, atmosphere was fun and we will be back, special occasion or not! Nice Experience every time I go there, but according to every one that I take to the place think the burguers are over hype. But the New York strip on the bone I another story. The ambiance was reminiscent of the 1940’S with pictures adorning all the walls. It was large enough to not feel cramped and the noise level low enough to have normal conversations. The service was excellent with attentive wait staff. Black Label Burger was impeccable. So juicy. Got it with cheddar cheese and side salad instead of fries. Bloody Mary was also incredible. Always one of my favorites. The Black Label Burger with a glass of champagne is my favorite :) Close quarters but such a great vibe. Our 13 year old daughter has been coming here since she was a baby and still loves it. We don’t really drink a lot so I sometimes feel like the waiters get annoyed, but it doesn’t stop me from dining here. Hostesses could be friendlier. The food and service were both outstanding. Classy little place to take you back. Ask for Aaron if he’s tending bar! Bone Marrow was delicious, however the black label burger was a let down. Flavorless and overpowered by the sautéed onions. Great service, even better meal. Staff was very attentive but not intrusive. Amazing food and great ambience! Go for the black label burger. You will not be disappointed! 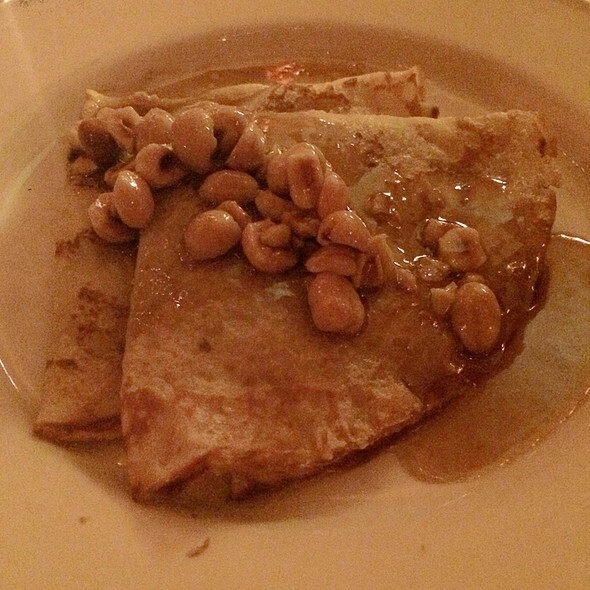 Minetta Tavern is a favorite place of mine where I meet friends or even dine alone. The food is always delicious. 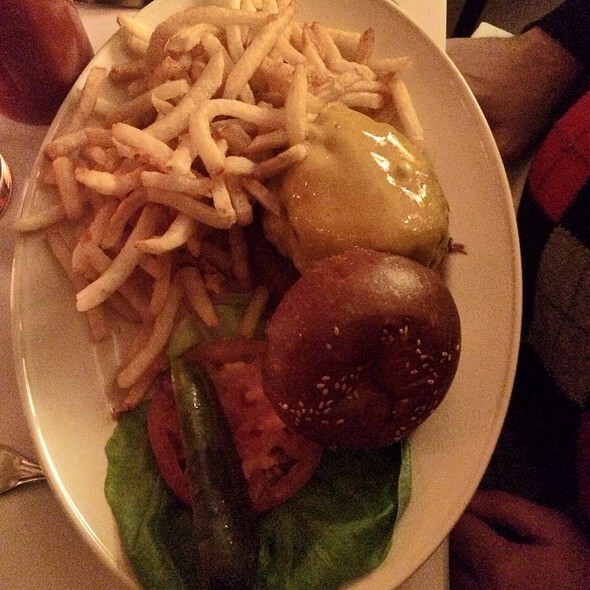 The Minetta burger is hard to beat. The service, although rushed at times is professional and accommodating. These guys work hard! So sometimes patience is needed. Reservations a must. Was disappointed. 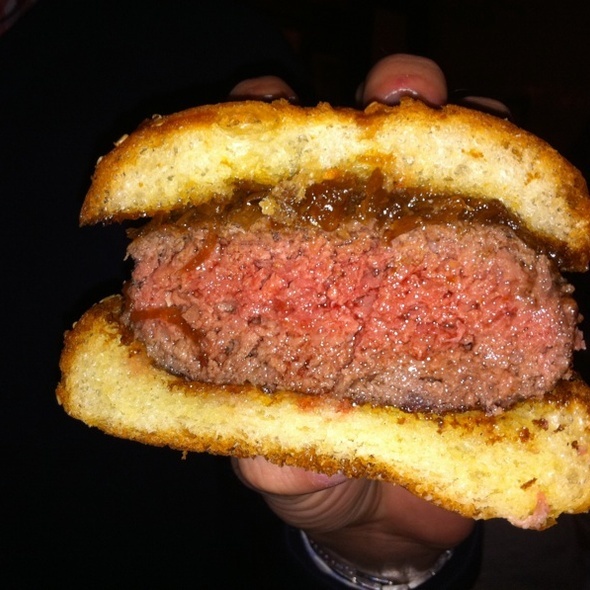 The black label burger was not as great as I thought it would be. The chips aren’t like always... maybe the fry oil was old? Black label burger seemed unseasoned and I also couldn’t really taste the aged beef at all. My first time finally here! Amazing, professional yet comfortable service. Loved loved our waitress. Can’t wait to go back. Also my first time finally having a chocolate soufflé!